Just a quick update this week, about some upcoming classes (class updates, including schedule changes, are available on Facebook and the Class page above). I’m so excited that I’ll be teaching the Peek block three times in the next two months. 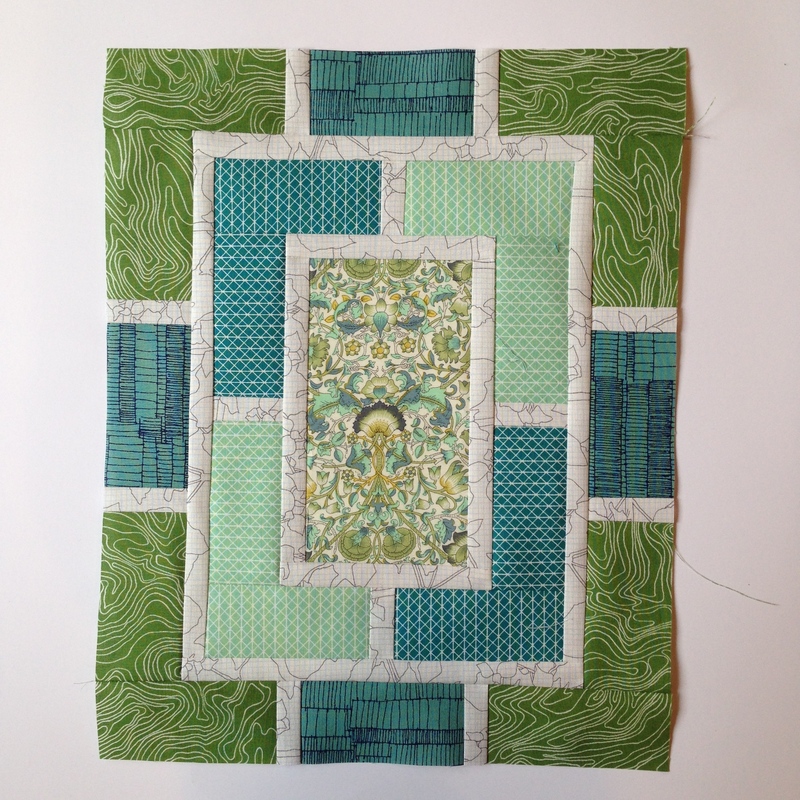 Not only is the block super versatile and fun to put together, but it’s also great practice for perfecting your 1/4″ seam allowance. The first chance is at Rock Paper Scissors on Monday, March 30 at 7PM. This evening class got snowed out twice during the winter, so hopefully we’ll be done with ice and snow by then! Call the store to sign up. There will also be a daytime Peek class on May 6 at 10:30 at RPS. I am also very excited that I’ll be teaching Peek to a regional group of quilters at the Mid-Atlantic Mod retreat in Lancaster, PA at the end of April. The retreat itself– hosted by Central Jersey and Philly MQGs– is sold out, but if you’re signed up for the retreat and want to take the class, you can sign up there! There are a few spots available. I don’t have many new pictures this week because I’ve been working on writing the Peek pattern! It’s all Peek, all the time around my workspace these days. The good news is that it will be available before summer and there will be three different versions– baby size, throw size, and modern layout (the one that hung at Quiltcon). My comment does not fit your post, sorry for that, but I so want to tell you how happy I am with your book! I received it two days ago and going through it I got more and more excited. It made me want to make each and every quilt. Thank you for a major inspiration boost!! Great book! !